MONDAY, June 26, 2017 (HealthDay News) -- Many people in pain are apprehensive about taking an opioid painkiller to ease their suffering, and rightfully so. Widespread use of opioids for pain has led to an epidemic of addiction in the United States. Forty lives are lost to prescription drug overdose every day, according to the U.S. Centers for Disease Control and Prevention. But an opioid painkiller, such as oxycodone (Oxycontin, Percocet) or hydrocodone (Vicoprofen) can sometimes be the best option for treating pain in the short term, particularly right after surgery or during a severe pain flare-up, pain experts say. In those instances, patients and doctors need to work together to make sure a patient's pain is treated while managing their risk of addiction and overdose. "You have to individualize care," said Dr. Edward Michna, an anesthesiologist and pain specialist at Brigham and Women's Hospital in Boston. "Obviously you're not going to torture people when the severity of their pain is such that they should be treated with an opioid. The question is, should that be maintained for a long-term period? That can be debated." The CDC has recommended a three-day limit on prescription painkillers for patients, said Dr. Anita Gupta, an anesthesiologist and pain specialist who serves as the American Society of Anesthesiologists' co-chair on prescription and opioid abuse. "The reason why they chose three days is because dependency begins within three days," Gupta said. "There are clear signs of that. If you put people on opioids beyond three days, you are putting them at risk for dependency." There are exceptions to that rule, according to the CDC. People with active cancer or those who need palliative care at the end of their lives should not worry about using opioids to ease pain. Why was I prescribed opioids? Did the doctor assume opioids are the strongest and most effective pain relief for my pain, without considering other options? How long should I take prescription painkillers? If you continue to have pain after a few days on an opioid, you should ask your doctor about alternatives. Are opioids affecting my quality of life? Using prescription opioids can affect a person in many different ways, including mental fogginess, severe constipation, nausea or depression. The CDC and ASA recommend trying other pain management techniques to treat chronic pain before resorting to opioids. These options include over-the-counter medications such as acetaminophen (Tylenol) or ibuprofen (Advil, Motrin), physical therapy, injections with local anesthetics, electrical stimulation, acupuncture and meditation. Doctors should consider opioids only if the benefits regarding pain relief and daily ability to function outweigh the risks of addiction and overdose, the CDC says. Even then, the lowest possible dosage should be used for the shortest period possible, and doctors should closely monitor patients for signs of addiction, the agency advised. The problem is that opioids become less effective over time, as patients build up tolerance, Michna said. "The data, particularly for low back pain, seems to show the longer you're on it the less effective it is, and the more of the drug you need to get an effect," Michna said. "When they've studied it, it appears that people on the opioids aren't any better off than those who aren't, in terms of functionality and their overall pain levels." 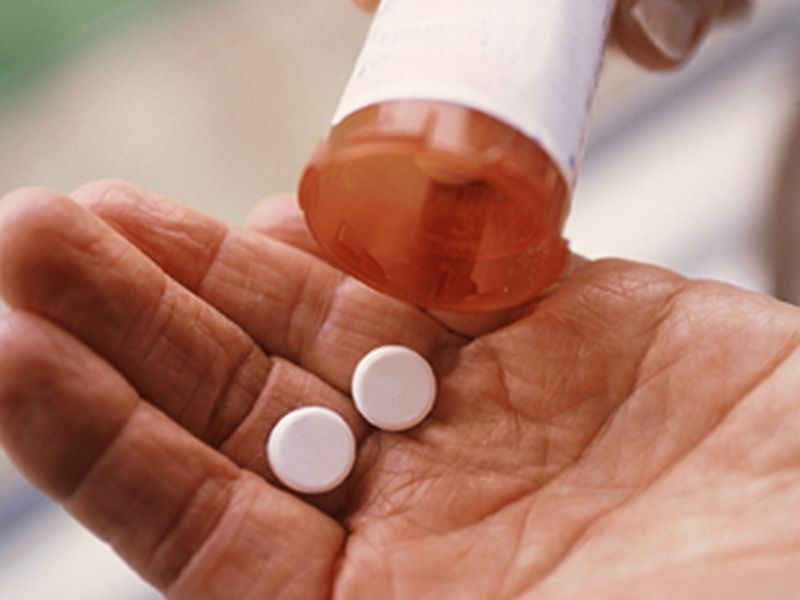 Taking painkillers more often or at larger doses than prescribed. Getting less pain relief when you take the dosage prescribed to you. Taking the drugs for something other than pain relief; for example, to ease anxiety. Hearing from people around you that you regularly seem sedated, sleepy, uneasy, troubled or unable to function. People taking opioids should remain in regular contact with their doctor, Gupta said. They also should ask for a prescription for naloxone (Evzio), a drug that can reverse an overdose if injected quickly enough. An opioid overdose can happen even if people are taking their recommended dose, Gupta said. Kidney disease, another illness or an interaction with another drug can bring on an overdose. "It doesn't always happen because you take too much of the drug," Gupta said. "Everyone's different. Everybody's condition is different. That's why you need a doctor you trust by your side, as someone you can call upon."